SURIN - 26 March 2018. 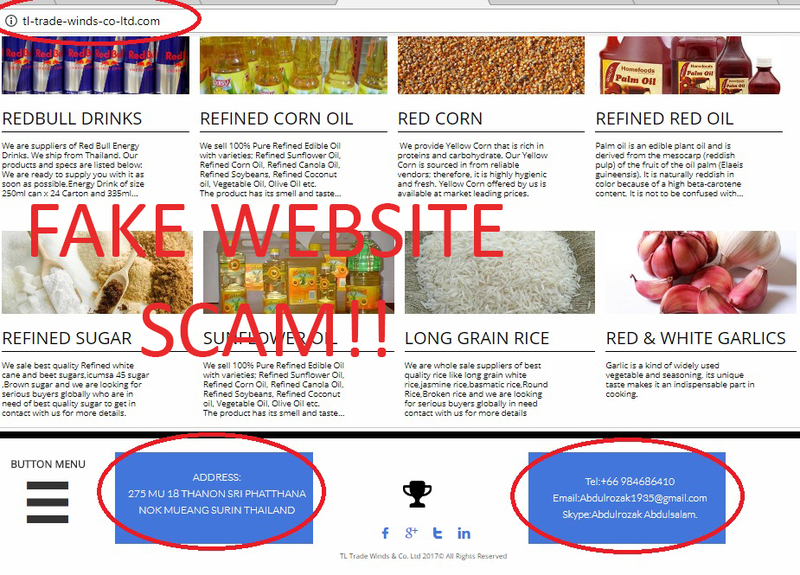 With the success of export products that the TL TRADEWINDS has set up in the last decade , there have been a number of individuals who apparently create fake websites to deceive foreign customers for the purpose of scam , they use our address (275 MU 18 THANON SRI PHATTHANA NOK MUEANG SURIN THAILAND) and make fake name similar our company for the purpose of scam . 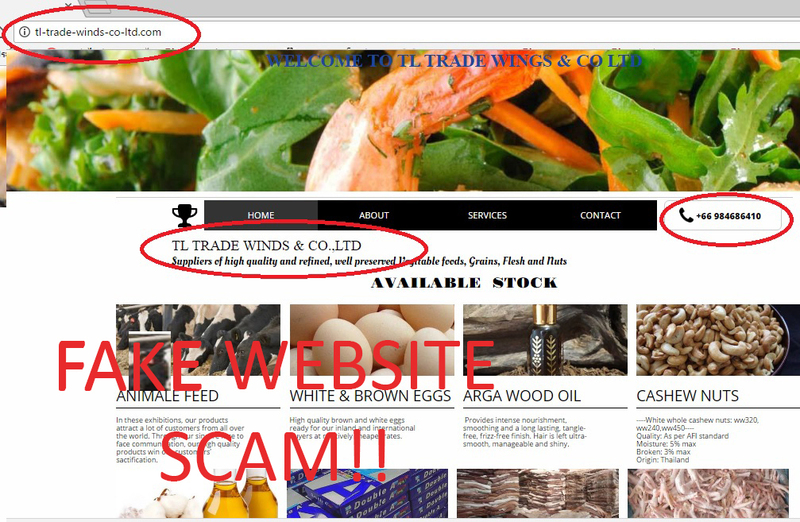 Please be aware that our company (TL TRADEWINDS Co., Ltd. / TL TRADEWINDS LTD., PART.) 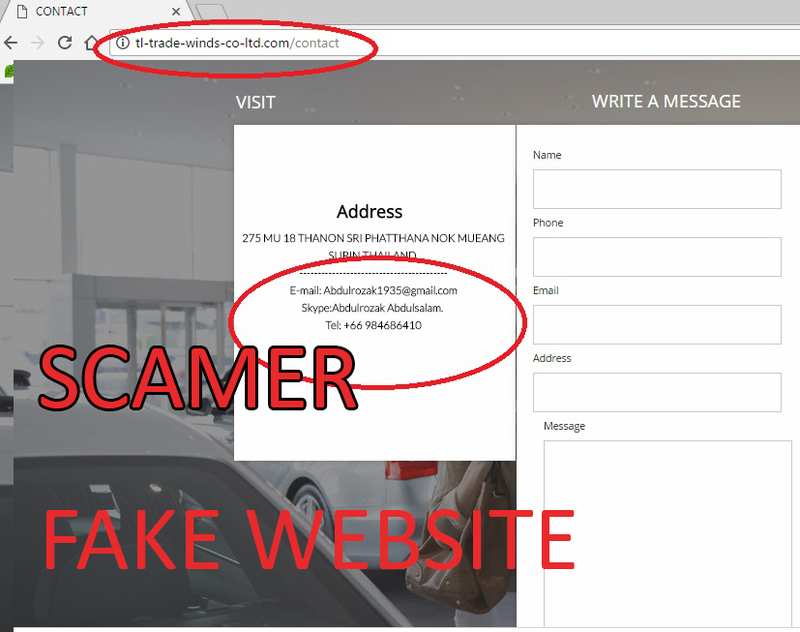 only contacts people via its legitimate channels and official contact information that show in this website.